1. (+/-) Vee, the protagonist - Sometimes I really liked Vee. I felt her grief and thought she was strong for the way she handled seeing the murder and for the way she and her best friend fought (and how it wasn't the typical girly girl drama in HS). But at the same time... sometimes she seemed too judgmental, and what really ticked me off is that you find out that Vee is no longer friends with this group of people because of what happened one night... And Vee's very justified in splitting with them... But then her sister becomes friends with them, and Vee doesn't tell her what happened. That was very isolating for me as a reader. I can understand not wanting to revisit the pain, but if she loved her sister as much as she claimed, she shouldn't have stood by and let her befriend such gruesome people. 2. (+) Vee's ability - I really like Vee's ability / haven't read something like that before. I also like how it wasn't just this stagnant thing-- it was something she was slowly discovering more about, and I loved the way her discovery of her powers mirrored her transformation from observer to active participant, to someone who wasn't going to stand by and let things go on around her without voicing her opinion. (Side note: also love the title Slide and its representation of her ability). 3. (+) The Character Cast - One of the benefits to Vee's ability is that it allowed the author to make really dynamic characters. There is a huge character cast--natural if you don't know who the murderer is--but they felt real because Vee got to see more into their lives than what they just present to her. 4. (+) The Mystery - Didn't see it coming. I could tell there was something more from the beginning, but what did actually happen was planted in pretty slyly. Slide is a good mystery. 5. (+) The Family Portrait - Vee's family is not perfect and is actually pretty far from it... but with the grief and the sisterly and fatherly interactions, I felt it... and liked it. I thought it was realistic and didn't at all feel like it was one of those things where the YA author just wanted to get rid of the parent so the teen could do whatever. 6. (--) Explanation - .... <-- My face when I read the explanation in the last couple of chapters. I don't buy some of it. I can't say anything else because I don't want to ruin it for you. 7. (+) Pacing - This book is only like 250 pages, and it goes by pretty quickly. It's an easy and fun read. 8. (+/-) The Writing - there were a couple of times in the beginning when I was like, "you're trying too hard to make me think this person is a suspect. You don't need to tell me that situation is fishy." Basically, I think the author could have trusted the reader a bit more. Also, there were a couple of times when I was snagged out of the story because I thought of ways I'd have phrased it if I was writing the story.... but besides those instances, the writing was fine. 9. (+/-) The Romance - It was pretty intense rather quickly which is not something I usually enjoy, but in this case, I could see it happening. There was a certain desperation in it with their grief uniting them in the first place, but what ticked me off was why the romance even happened in the first place. If I was in that situation, I don't think I would've done that. 10. 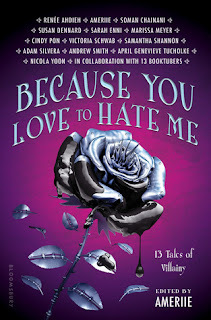 (+) The Cover - Not sure how you could really portray Vee's ability, but the purple color is nice, pretty important to the book. Plus it sort of looks like a supernatural cover. 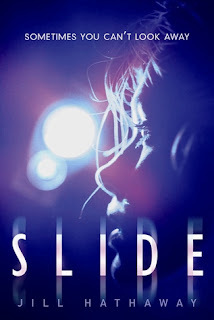 Slide is a fun paranormal mystery with a broken family and intriguing ability. Reminded me of: The Body Finder. Fans of that book will probably enjoy this. I thought this sounded interesting, but your points about the explanation and the romance make me wary. also I really wasn't a fan of the body finder. great review as always!